If you have been cited for a moving violation in Dutchess County, NY, you need to take it very seriously. A single traffic ticket can have severe repercussions, including heavy fines, community service, higher insurance rates and motor vehicle violation “points” on your driver’s license. Multiple tickets handed out for repeat offenses can result in even worse consequences, including suspension or revocation of your license, as well as possible jail time. You do not want a conviction on your driving record, let alone multiple convictions. Anyone who has been cited for a second, third or subsequent traffic offense in Poughkeepsie, Wappinger or anywhere else in Dutchess County, New York needs to contact an experienced traffic attorney immediately. You do not want to jeopardize your ability to operate a motor vehicle in the State of New York, nor do you want to give your insurance carrier any reason to raise your premiums. 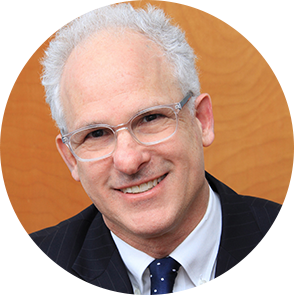 Jonathan Katz is a skilled and knowledgeable traffic lawyer who understands the nuances of traffic law in New York because he has more than 36 years of experience fighting on behalf of clients, like you, who have been accused of repeat traffic offenses. Depending on the circumstances of your case, he may be able to negotiate a downgraded charge (no points) or even get your ticket dismissed. What are the Most Common Repeat Traffic Offenses in Dutchess County, NY? Multiple Speeding Tickets: If you are ticketed three times in any 18-month period, your driver’s license will be suspended for six months. Moreover, the traffic court judge may have discretion to suspend your driving privileges for an even longer period of time. Points for Repeat Traffic Offenses: Repeat traffic offenders are subject to additional points on their licenses. If you accumulate 11 points within 18 months, your license will be suspended. Keep in mind that patrol officers in Dutchess County often cite drivers for multiple moving violations on the same ticket; this can result in points accumulating very quickly on your license. Multiple DUI Offenses: Anyone convicted of a drunk driving offense, such as Driving while Under the Influence (DUI), Driving While Intoxicated (DWI) or Driving While Ability Impaired (DWAI) is subject to severe punishments that may include expensive fines, license suspension and possible jail time. Repeat DUI offenders face additional penalties, including up to four years in jail for a second DUI offense and mandatory installation of an Ignition Interlock Device on all of the offender’s vehicles. Multiple CDL Offenses: Commercial drivers in New York are subject to enhanced penalties for traffic offenses – even when they are operating a private vehicle. For example, if a truck driver is convicted of a second offense DUI, regardless of whether it occurred in a commercial truck during work hours or a private car after completing work, their CDL will be permanently revoked. If your traffic violation is particularly serious, or if you have several prior offenses, your insurance carrier may deem you a “high-risk driver” and raise your insurance premiums. In the worst cases, your insurance company might decide to cancel your auto insurance coverage entirely. Without a valid driver’s license, or an insurance company that is willing to carry you, you will be unable to drive anywhere in the State of New York. This can pose serious problems for your quality of life, especially if you are unable to travel to and from work or school. Whether you have racked up speeding tickets or committed a more serious offense like drunk driving or driving with a suspended license, you need to recognize that your ability to drive, as well as your freedom, could be at stake. Do not make the mistake of letting the local prosecutor pressure you into pleading guilty or paying a fine before you have spoken with a knowledgeable traffic lawyer. You may think that paying the fine on the back of the ticket will solve your problem, but it won’t. It is an admission of guilt that can expose you to enhanced penalties, especially if you are a repeat offender. It is crucial that you contact Jonathan D. Katz, Esq. as soon as possible. The moment you call me, I will begin working on an advanced defense strategy to help you beat your ticket and avoid the most serious penalties in Dutchess County, New York. Call me anytime to discuss your traffic charges or schedule a consultation at my office.